Customer expectations for financial and banking services are rising at an ever faster rate. The approaches of banks are increasingly framed in black and white terms of good and bad. Banks found wanting or less than desirable are abandoned like sinking ships as customers take their transactions and businesses to more preferred institutions. 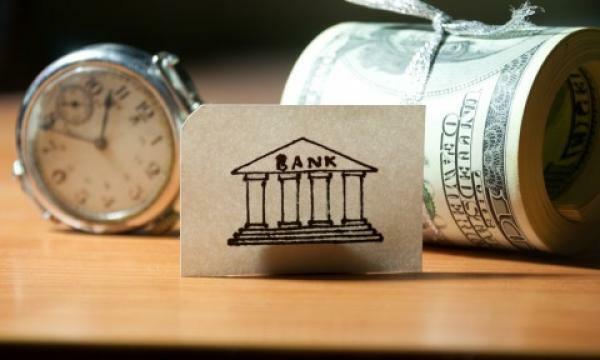 Digital has made it simpler for customers to move their business to a different bank at the same time that it has made it possible for “undesirable” transaction business reviews to be disseminated nearly instantaneously — and as negative customer experiences can be shared in the blink of an eye, analog banks risk being left behind in the dust of the new digital era. Many existing core systems are designed, operated, and maintained as a platform (system platform) for building and providing product services. The repeated addition of product services, changes in new customer channels (such as telephone, the Internet, and mobile), and external connections have meant IT challenges for these system platforms. In other words, challenges exist in systems that stem from aging structural issues, challenges that include data model rigidity, lack of application flexibility, IT redundancy, as well as the duplication of labour. For banks today, establishing new customer relationships should be the top priority. To build an architecture to do so requires more of an outward focus on enhancing the experiences of customers than an inward focus seeking to improve processes to provide product services. Put in another way, this means that a platform that emphasises user interface is required, with consistency and simplicity across channels and products, and APIs allowing for ease of integration, both internally and externally, to entice greater collaboration and innovation. Both IT and customer relationship challenges must be simultaneously tackled and pursued in modernisation initiatives. Digital transformation means much more than the addition of a new digital channel. Rather, it signifies that a fundamental change involving moving from legacy architecture to a modern platform that can provide enhanced experiences for customers is paramount. Banks that fail to appreciate this and are not sufficiently careful can find that modernisation results recreate the same legacy problems they were designed to solve. We believe that a turning point is coming — one in which the flow of product services will exceed the limits of vertical integration, and a shift to modular models (horizontal and vertical divisions of labour) will occur. The low-interest financial environment is transforming banks into companies that compete by marketing financial products, selling a vast array of products such as investment trusts, insurance, trusts, and real estate-related loans. Banking channels in their capacity as reliable aggregators are expected to offer advisory services related to financial services in general. A decoupling or split of the creation and sales of financial product services is already afoot. Meanwhile, the original core business areas of deposits, loans, and currency exchange, as well as the financial infrastructure that underpins them — the connection to the financial institution network, the mutual settlement and credit between financial institutions, reporting to supervisory authorities, and the core system that controls these — are rigidly structured, and, like a foundation of bedrock, not able to deftly handle this decoupling and separation. Advisory business operations as an aggregator of financial services and the creation and sale of financial products have already been partly unbundled and are in the midst of a shift to a more modular model (horizontal and vertical division of labour). In addition, human resources and organisations are also making the requisite changes to their possessed expertise. Nevertheless, the core business and fundamental operations are unable to change. Why? This is because business and IT architecture are resisting evolution and change. The Japanese banking industry experienced one-sided, unbalanced and shared, common core systems, but it has yet to experience unbundling. Based on these architecture discussions, we propose the following modular core banking for the banking industry as it strives to undertake modernisation efforts. The architecture consists of three layers of modules: 1) management of customer experience; 2) management of product services, process management, and risk management; and 3) infrastructure management. Taking into consideration digitalisation and ways to facilitate a smooth transition to modernisation, we strongly recommend banks’ use of business case perspectives. Undertaking a major digital transformation may be a lifeline for banks seeking innovation and a path to success.